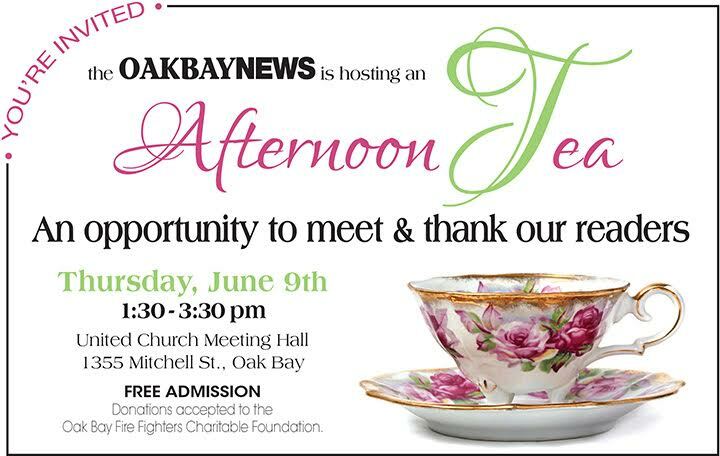 Come have tea with the Oak Bay Firefighters on June 9, 2016. 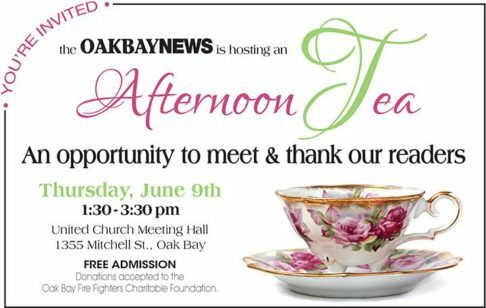 This great event is put on by the Oak Bay News and hosted by United Church located at 1355 Mitchell St with donations going to the Oak Bay Firefighters Charitable Foundation. Tea runs from 1:30-3:30……hope to see you there.